Of all the reasons to love Park City, the ease of access tops them all. The town is a quick, hassle-free ride from the Salt Lake City International Airport, and once you arrive, you won’t need a car at all. Park City&apos;s free transit system and free Main Street trolley makes getting around town safe and easy. You’ll never have to worry about driving on winding mountain roads or fight over who will be the designated driver—exactly how a ski vacation should be. Whether you seek a luxury ski experience or epic amounts of terrain, Park City’s two resorts, Deer Valley and Park City Mountain, deliver. Deer Valley’s gourmet eats, stellar service, and well-groomed mountain terrain cater to skiers who love the finer things in life. Expect plenty of fun, long ski runs for newbies and challenging trees and steeps for experts. Since Park City Mountain and Canyons Resort joined forces, it’s become one of North America’s largest resorts. And you can reach its 7,300 skiable acres via a chairlift ride from Main Street. Terrain ranges from beginner bunny hills to steep and deep powder chutes and natural half pipes spread over 41 chairlifts—including North America’s only heated bubble lift. Utah Olympic Park has evolved from the site of 2001 Winter Olympic events like bobsledding and luge to a year-round adventure zone with ropes courses, slides, trails, and rock climbing that the whole family will love. Experience the thrill of racing down the icy bobsled track with a professional driver, or relive the Winter Games at the free on-site museum. With Salt Lake City eyeing another Olympic bid, there’s no better time to visit. There’s more to this mountain town than ski slopes. Walk Historic Main Street to see the booming arts scene, explore galleries full of paintings, photography, and sculptures, or catch a performance at the Egyptian Theatre. 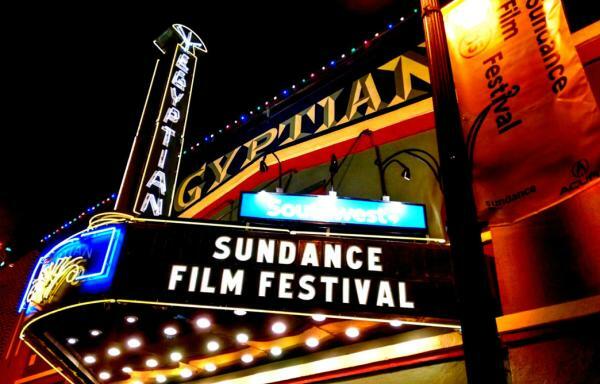 The Sundance Film Festival brings Hollywood to Park City each January, and it’s easy to enjoy a film or two before wide release—or simply wander through town looking for stars. Long before Park City became a skiing icon, the silver in these hills drew miners looking to make their fortunes. But when the mines went bust, Park City nearly became a ghost town. Thankfully, skiing revived the former mining lands, and the mining structures and historic Main Street buildings remain—preserved for future visitors to enjoy. Learn about Park City’s colorful past at the Park City Museum on Main Street, or see it on skis at Park City Mountain’s free Silver to Slopes Historic Mining Tour. You’ll go with a guide to mining buildings and relics strewn about the resort while hearing local lore. Not a skier or snowboarder? 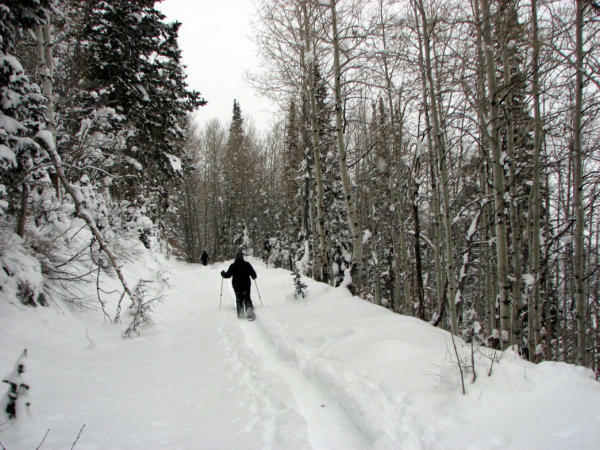 Don’t worry; Park City offers many more winter adventures. From cross-country skiing to tubing to fat biking to snowshoeing, in-town trails and sledding hills make getting outdoors easy. Park City’s a haven for cross-country skiers, and you’ll find equipment rentals and 25 kilometers of groomed trails at White Pine Nordic Center. Take an easy or challenging route with views of Park City’s mountains and its iconic white barn. Park City’s evolving dining scene welcomes diners of every palate and budget. Whether you’re craving flown-in fresh sushi or hand-tossed pizzas, you’ll find it here. Stroll Main Street to find local favorites like Handle, a modern American eatery, or Riverhorse, one of the country’s top restaurants. For a magical evening in Deer Valley’s mountains, head to Empire Canyon Lodge’s Fireside Dining. The European Alps menu features melted Swiss raclette cheese cooked over a fire served with cured meats, baked breads, and salads. Park City’s Wasatch Brewery kickstarted the state’s craft beer revolution in the 1980s, and it is still serves up refreshing Utah brews like Polygamy Porter. (Try it on nitro!) If whiskey’s your jam, ski your way to après from Park City Mountain to High West Saloon—the world’s first ski-in gastro-distillery. Voted distillery of the year in 2017, High West specializes in handcrafted bourbons, ryes, and unique blends like bourye. For wine lovers, stop by urban winery, Old Town Cellars, for a glass of their Mountain Town Red. 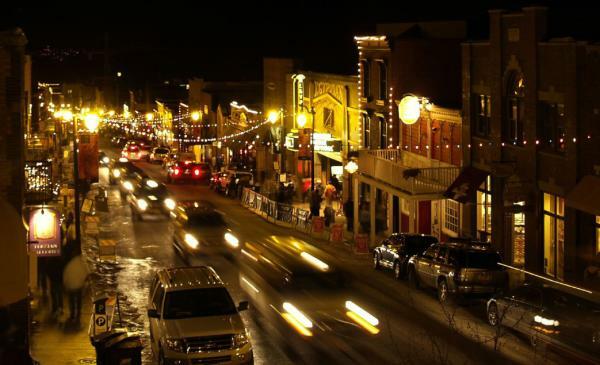 When the sun sets on the ski day, Park City doesn’t go to sleep. 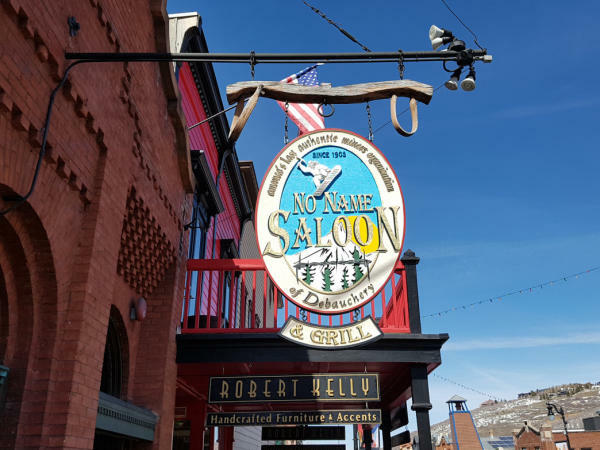 Head to Main Street and mingle with snow pants-clad locals sipping Utah beers at the legendary No Name Saloon, or head up to their year-round heated patio for drinks with a view. Burn the midnight oil with late night live music at OP Rockwell or The Cabin. When your legs are spent from fresh powder turns, unwind at one of Park City’s spas. Ease the tension with a skier’s leg recovery treatment that undoes what the mountain did to you. Expect cooling compresses, pressure-point massage, and stretching techniques that help tired muscles recover so you’ll be back on the slopes in no time.